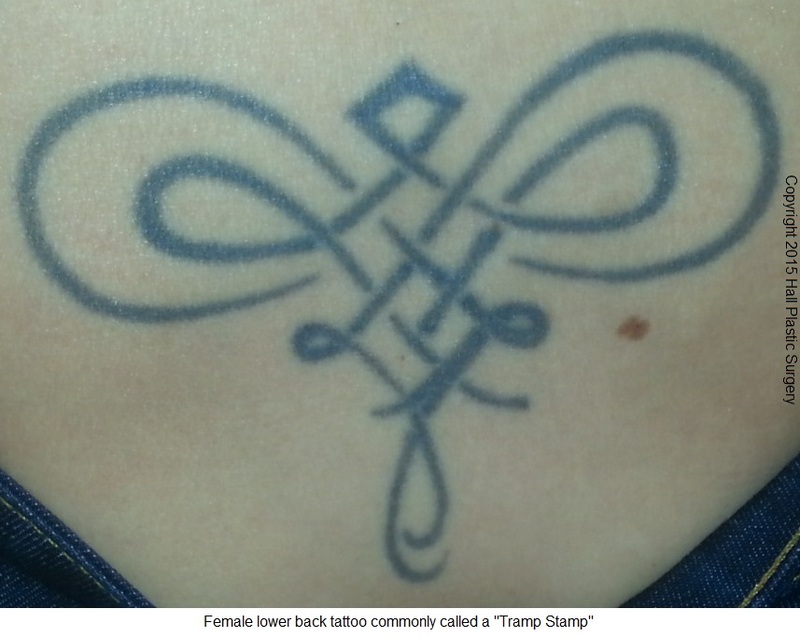 Women have been subjected to many derogatory terms over the years and the phrase “Tramp Stamp” is no exception. The lower middle back is a great place to hide a tattoo but unfortunately, any woman who got inked in that location is now labeled a tramp?! That’s not cool. Some folks have tried to correlate tattoos to risky or risqué behavior by doing so-called research in to the habits of women with tattoos. Well I find the term ‘Tramp Stamp’ offensive and misleading. Think about this: 61% of U.S. females 18 years old and up have a tattoo. Are you trying to tell me that the majority of women are tramps? I don’t think so. I remove tattoos on a daily basis with the PicoSure laser and the results are striking and frankly, incredible. There are all sorts of reasons why women want to remove their tattoos: an old flames name, too visible for work, etc. But increasingly, women are using the PicoSure laser tattoo removal system to clear away ink that they believe society judges them for. That’s too bad but I guess it’s the world we live in today; even in a nonjudgmental town like Austin, TX. Whatever the reason, if you want your lower back tattoo off, I can be reached by phone @ 512-479-9997 or just stop by my NEW location in Austin, TX: Austin Medspa on W. 6th St.